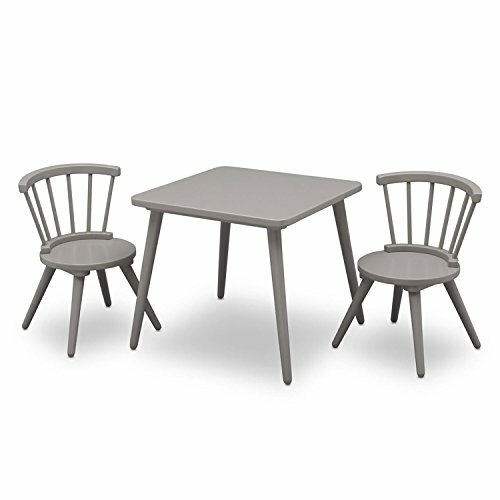 Create a fun and inspiring spot for crafts, homework or snack time with the Windsor Table & 2 Chair Set from Delta Children. Perfectly sized for young children, this practical play table features a spacious square tabletop and two coordinating chairs with vertical spokes and curved backs. Constructed from strong and sturdy wood, this long-lasting table and chair set complements any child's bedroom or playroom, and is stylish enough to be placed in shared living spaces.